When the lights turned off at Cashman Field for the last time, fans began to look towards the future. Not only would the 2019 season mean a new stadium and a new team name — it also meant a new Major League affiliate to look forward to. In October of 2017, the New York Mets announced they were buying the Syracuse triple-A team, then the Chiefs, and would make Syracuse their triple-A home once their contract ended with the 51s after the 2018 season. Since that’s in the rear view mirror, the 51s (the new name still hasn’t been announced, but rumored to be the Aviators) have become the new triple-A affiliate for the Oakland A’s. In an offseason of change, the Las Vegas faithful also get to learn another farm system, one that Bleacher Report ranks as the 13th best farm system in baseball. 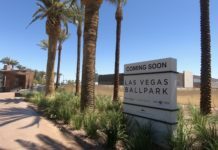 While there are several prospects lower down in the A’s system that should make major impacts on the franchise in the future, barring rapid development, they should be at least one year away from playing in Las Vegas. Here are five of the prospects that the Las Vegas (Aviators?) fans can look forward to seeing next season. The overpowering lefty Luzardo is going to be the main attraction whenever he steps foot in Las Vegas. Luzardo is widely considered one of the top prospects in the A’s system at the ripe old age of 20. 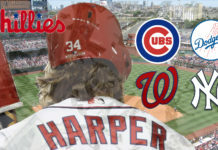 He came to the A’s originally in 2017, courtesy of the Washington Nationals, in a trade that sent Sean Doolittle and Ryan Madson to the National League. Luzardo was a quick riser through the minors, spending parts of 2018 in Advanced A-ball and double-A before starting in four triple-A games. He had a tough time in Nashville, finishing with a 1-1 record and an ERA north of seven. While those numbers are concerning, worried fans can look to his double-A work and put themselves at ease. In his 16 starts, Luzardo went 7-3 and had a 2.29 ERA. Luzardo mainly has a three-pitch repertoire, boasting a mid-90’s fastball that he pairs with both a changeup and curveball. There is also no more injury risk with Luzardo than any other player, even though he required Tommy John Surgery in high school. 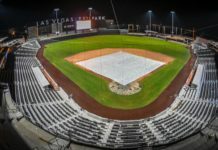 Anyone who wants to catch a start from Luzardo in the new Summerlin ballpark should make their way early in the season. As he’s shown in the past, Luzardo rises quickly up the ladder. Murphy is the heir apparent to the catcher job in Oakland. A former third round pick from Wright State, Murphy has seen success at every level of the minor leagues. He has worked himself into a .260 hitter who pairs his offense with an imposing presence behind the plate. While he only throws out slightly more than one third of potential base stealers, he is a steady force, committing only 11 errors in three seasons. He finished his season in triple-A for the A’s in 2018, but it was cut short when he suffered a broken hamate bone in July. Las Vegas fans who want to see Murphy behind the plate should make their way to Summerlin early in the season. He’s become known as a fast riser in the system and 2019 should be no different. 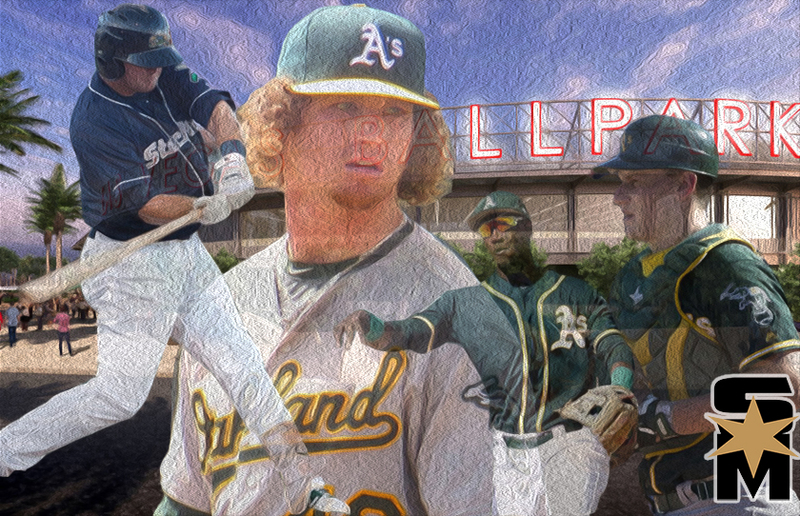 He’ll be making an impact in Oakland before fans know it, so they should enjoy watching him play while they can. Mateo should be the face of the new Las Vegas team on day one. As one of the biggest names in the system, Mateo has the best chance of being a household name, someone who fans can rally behind quickly. He came to the A’s in mid-2017 when the New York Yankees sent him to Oakland as the centerpiece of the Sonny Gray trade. Mateo has taken the textbook path through the minor leagues. Beginning with his time in Rookie ball in 2012, he has spent each season at the next level, but his time in triple-A should be the difference. He spent the 2018 season at triple-A Nashville where he struggled. Mateo bat. 230, hit only three home runs and made 23 errors. However, the errors were not entirely surprising. The 2018 year was his return to the middle infield after spending his time in AA as a center fielder. He’s a boom-or-bust product coming off of his worst professional season, one where he still led the PCL with 16 triples, but when all of the tools are going well he’s one of the best players in the minor leagues in every facet of the game. If everything works out, he can be a perennial all-star that Las Vegas got to watch grow before their eyes. Neuse’s best chance of making an impact in the Major Leagues is if he can become the reliable Swiss-army knife he has been throughout his career in the minors. After going through three levels in the minors in 2017, Neuse spent the entirety of the 2018 season in Nashville. While he’s played everywhere across the diamond in the minors, Neuse spent all but two games last season stationed at third base. Even though he’s had success, Neuse is blocked in Oakland. As long as the A’s have Matt Chapman at third, Neuse will have to work hard to earn a spot on the Major League roster. Neuse is going to, most likely, join Las Vegas with his spot in the lineup secure, especially coming off a season where he was eighth in the PCL in hits and played in a PCL-high 135 games. He might not be the biggest name to step foot in Sin City in the 2019 season, but Neuse will endear himself quickly to local fans. He should be a reliable player that former-51’s fans can get used to seeing in the starting lineup for most of the upcoming year. 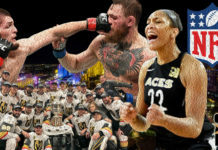 Holmes is a bit of a dark horse to make it to Las Vegas in the 2019 season. He’s coming off an injury that limited him to just two games in Advanced A-ball in 2018, but before that he spent a full season in double-A. He missed a majority of the 2018 season with a rotator cuff injury. Like Luzardo, Holmes is mainly a fastball pitcher who uses his changeup and curveball to get hitters off balance. Better yet: his hair is a thing of glory. He hasn’t had the most success throughout the minors, he’s never had an ERA below three, but he flashes all the tools and has the pedigree to get people excited. 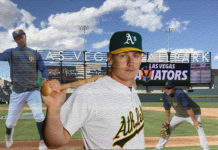 Should he progress properly from his injury, Las Vegas fans should expect to see Holmes on the mound late in the 2019 season.